The stone house in High Rock Park that serves as headquarters for the Greenbelt Conservancy and NYC Parks Greenbelt staff was completed in 1921. 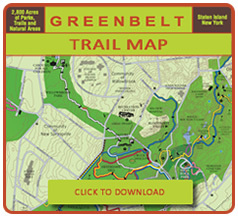 In 1912, what we now know as High Rock Park, was comprised of several privately owned parcels of land. The Tonking family purchased 12 acres to establish a poultry business they called “Mayroyd Farm.” Other parts of Staten Island’s central highlands were owned by the Vanderbilt, Walker and Ebbit families. In 1921, the Tonkings completed construction of a fieldstone house (presently the headquarters for Greenbelt staff) in the woods, along with “Tonking Road,” off Rockland Avenue. 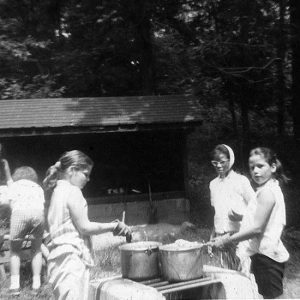 Girl Scouts cooking at Camp High Rock during the 1950s. In the 1930’s, the property and home were sold to the Ball family who had intended to raise horses on the site, but never actually did. The Boy Scouts of America acquired the land, and in 1951, sold 60 acres to the Girl Scouts for the sum of $35,000. The Girl Scouts established Camp High Rock. From 1959 – 1965, the See family lived in the Stone House while they ran the Girl Scout Camp. There were four See children who spent several years as residents of High Rock, enjoying the bucolic setting and unusual lifestyle just 20 miles from Manhattan. 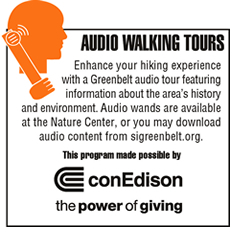 Mrs. See recently visited High Rock Park and shared some memories. “We moved to Camp High Rock in 1959,” she recalled. “We had four children (two more came later), plus two dogs, two ducks, and one chicken named Henrietta. The camp was so beautiful and peaceful, [it was] a wonderful place to raise a family. “I especially enjoyed being with the Girl Scouts when they came from the city for weeklong camping experiences,” Mrs. See continued. “They stayed in the Pouch, Roosevelt and Friedsman cottages, outbuildings on the High Rock property, as well as in a tent unit behind Stone House. In the winter months, they would also come for the weekend. “When the camp wasn’t occupied with Scouts, Jerry would often ride around the grounds. One day he and a friend were riding through High Rock Park thinking no one was there when they quickly came upon a group of people and got startled. ‘The visitors were half scared to death,’ Jerry said. “Later, he found out that the group, which included Mrs. Nelson Rockefeller and Mrs. Irving Berlin, was there for fund-raising purposes. 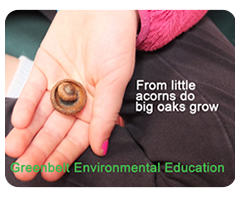 Dorothy Reilly is communications director for the Greenbelt Conservancy.